CARMONA--For Stallion Laguna, it was 2015 all over again on Saturday. Jhan-Jhan Melliza and Pao Bugas pulled off an encore of their 1-2 punch during their UAAP men's football title run with FEU to give Laguna a close 2-1 win against Cebu in their PFL match at the PFF National Training Center. Melliza, who has become Laguna's primary star since he transferred there from current WFL side GAU, found his fellow ex-Tamaraw Bugas from way inside the box for what would be the marginal goal in the 79th minute of the tight match. This is somehow reminiscent of their heroics during the 2015 UAAP men's football final, where Melliza forced extra time with his 83rd minute goal and Bugas won it for FEU with a 94th minute attack against a La Salle squad that had Nate Alquiros and Matthew Nierras, who would become their teammates with Laguna. "Parang throwback lang," Bugas, who scored for the first time with his new club, said during the post-match press conference. Following the UAAP title conquest, Bugas and Melliza have since parted ways to continue with their blossoming pro careers. But the winning play for Laguna formally signaled that their reunion is on. "Nakaka-miss din kasing kalaro si Jhan-Jhan," Bugas, the Man of the Match, continued. Coach Ernie Nierras even gave a cuter term for the game-winning cross and goal: "Deja vu!" 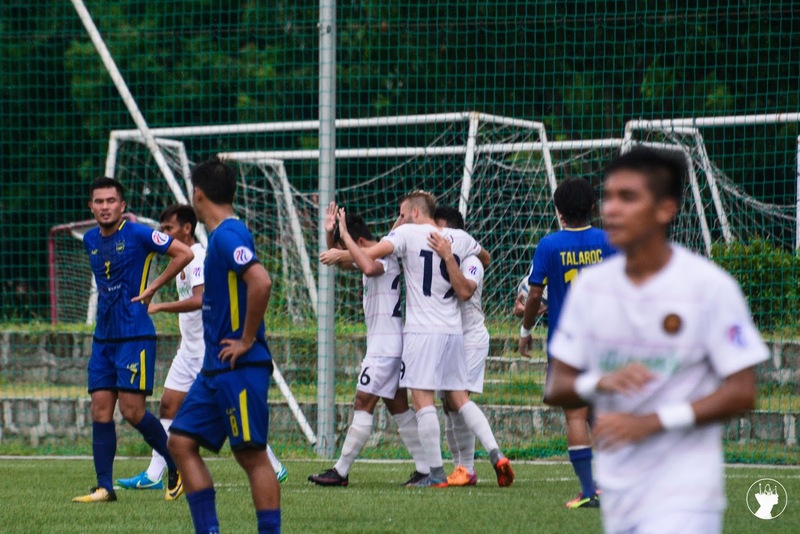 Interestingly, Bugas' game-winner came at the expense of Cebu, which has been his pro club ever since the UFL days, and despite him being happy to finally score for his new club, he still gave an ode to his former pro squad. "I still have my respect for my former club," he further said.